This month’s total items added is 6,077. That includes a couple of substantial collections: The Boston Public Library’s Press Photography from the Brearley Collection at 1,138 items and the Historical Society of Old Newbury’s Snow Historical Photograph Collection at 1,279 items. Dennis Brearley collected the works of Boston photojournalists from the 1920s-1970s. 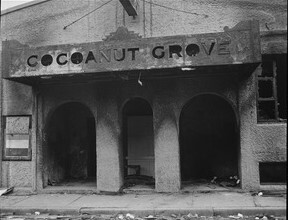 A representative photo is the Cocoanut Grove entrance photo. (Left) What’s been added from the Snow Historical Photograph Collection is only a fraction of what the Historical Society holds. 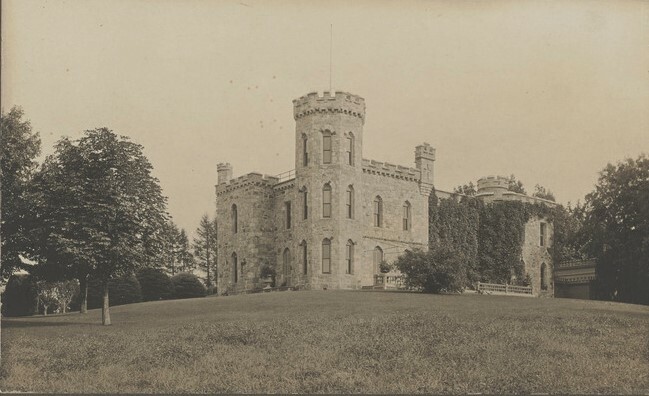 The Moulton Castle photo (Below right) is one to whet our appetite for more. Digital Commonwealth also has re-harvested over 1,700 items from the City of Boston Archives, but sometimes the smaller collections contain gems, too. 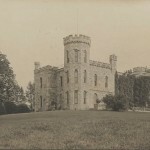 The Thayer Memorial Library added a history of Lancaster and the Milford Town Library added 200 photos from the Paul E. Curran Historical Collection, including one of the largest piece of granite ever quarried in Milford. (Below center)) That’s a big rock. 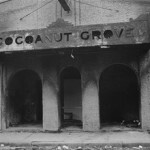 Posted in New Collections.Tagged Cocoanut Grove, Dennis Brearley, Granite, Milford MA, Moulton Castle, Paul E. Curran, Snow Historical Photographs.